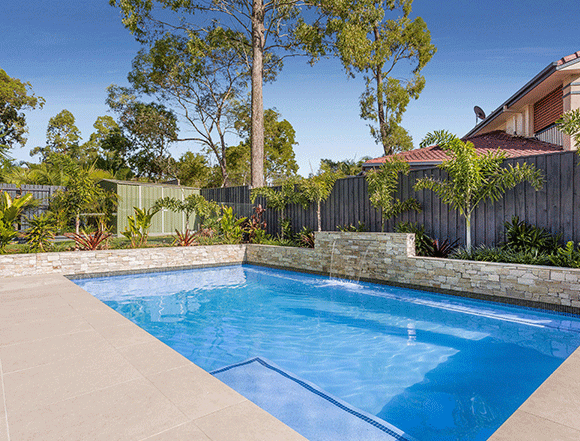 Bellevista Pools - Looking for pool builders in Brisbane? Bellevista Pools designs, builds and renovates quality concrete pools. Be inspired by our custom pool designs. Brisbane pool builder, Bellevista Pools brings over 35 years’ pool design, construction and renovation experience to the swimming pool projects we deliver for local homeowners. 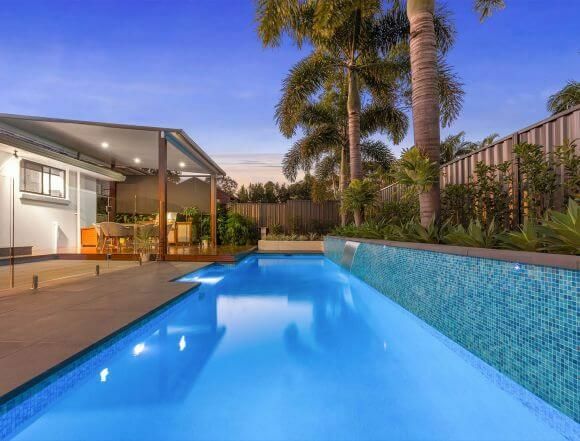 Established in 1979, we’re a family owned and operated pool company in Brisbane, offering a personalised service for clients with emphasis on designing and building pools to be proud of. Our team of pool builders are fully qualified and have extensive experience in all aspects of swimming pool building, including pool design and construction. This enables us to provide a complete service — from concept through to completion — that exceeds client expectations. As one of the leading pool companies in Brisbane, we’re proud of our superior craftsmanship, inspired swimming pool designs and extensive selection of quality finishes, all tailored to suit your lifestyle needs and design preferences — no matter how challenging they may be. Whether you’re thinking of renovating your existing pool or looking to design and build a new inground pool that adds value to both your family’s life at home and your property, we can help. As experienced concrete swimming pool builders with a reputation for design and construction excellence, your new pool is sure to provide benefits for your home, health and lifestyle. Why not contact Bellevista Pools now to discuss our pool designs and your ideas with a local inground pool specialist? Custom inground pools enhance Brisbane homes in many ways and our experienced concrete pool builders have created and brought to life many custom swimming pool designs for clients. We also offer an excellent range of pool finishes such as stone, tile, pebble and Quartzon to suit all tastes, with a high-quality pool filtration system (pool filter) included in the price. You can view our custom swimming pool construction projects for Brisbane homeowners in our gallery. As Brisbane pool builders based in Morningside, we’re conveniently located and happy to visit you at home wherever you’re located. By visiting you at home, we can inspect the site to get an idea of the best pool designs for your backyard space and you can discuss your project with our pool builders. Brisbane has the perfect climate for swimming, and our inground pools truly are the best way to escape the heat on a hot summer’s day. For premium-quality swimming pool construction in Brisbane, contact Bellevista Pools today. We give tired pools a new lease of life! Find out how we can help you today. We combine innovative swimming pool designs with expert workmanship. Copyright © 2019 Bellevista Pools. All Rights Reserved. Address: 3/449 lytton rd morningside QLD 4170.